2016 Austin Parker 42 Sedan The Austin Parker 42 Sedan is a small motoryacht with the layout and space required for cruising; it is a versatile, easy-to-handle craft that is relatively economical to operate. This model’s key features are the two independent cabins and on-deck saloon enclosed by a sliding door. Performance is excellent, as is on-board comfort, assured by sophisticated finishes and carefully crafted details. The 42 Sedan has a timeless style that is sure to catch the eye. The number of units built and close cooperation with owners have enabled the yard to perfect the boat’s characteristics and achieve an outstanding overall result." Yachts in classical style for sailing into the future It was at the end of the ‘90s that the Austin Parker shipyard grasped the potential for developing a line of yachts in the style of the traditional lobster boats used by the fishermen of Maine (USA) in the tough conditions of the Atlantic Ocean. The yard thus became the first in Italy to invest in this project, creating a distinctive yacht concept that immediately set a trend amongst owners, increasingly attracted by an old-fashioned style with a sense of solidity, strength and reliability, immune to passing trends. In 2008 the Austin Parker brand was acquired by a group of entrepreneurs with strong yachting traditions, and through the formation of a new company and under the direction of talented managers, it underwent a major relaunch in impressive style. 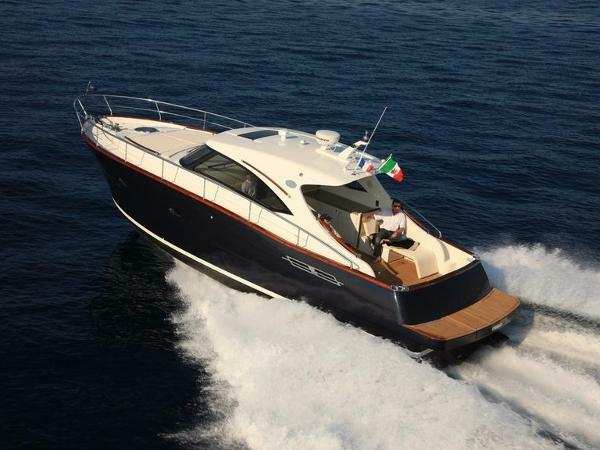 Within just a few years, with the stylistic contribution of one of Italy’s most famous designers, Fulvio De Simoni, the yard created a completely new line of yachts to consolidate a brand capable of meeting owners’ needs, and achieved outstanding customer satisfaction levels from the very first craft built. And it is its design strategy that has made the key difference, enabling the Austin Parker boatyard to stand out on a competitive, selective, increasingly globalised market. A style suited to universal taste, popular on the new international markets for pleasure craft. The yard’s range currently comprises 7 models of yacht from 36 to 72 feet, craft of genuine value, with sophisticated design, skilled construction, choice components, comfort, performance, environment-friendliness and an unmistakable style immune to time and fashions. 2013 Austin Parker 42 Open The Austin Parker 42 Open, the range’s best-selling model, is extremely versatile, manoeuvrable and user-friendly. 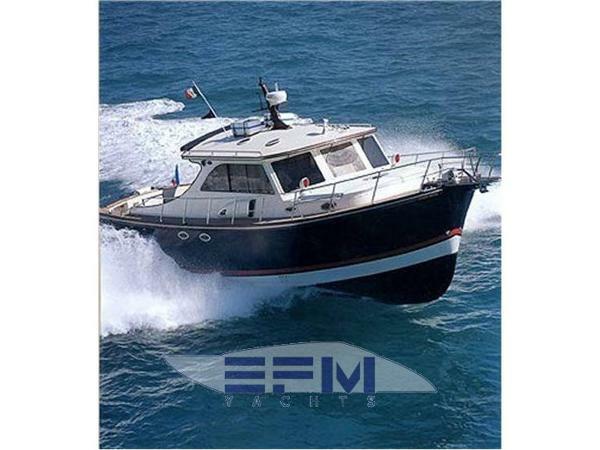 It is comfortable and convenient, capable of impressive performance, ideal for those in search of an exclusive craft, well finished and attractively designed, for both prestige and pleasure at sea. It has a sporty look with carefully styled details, elegant finishes and several different outfitting options. The number of units built and close cooperation with owners have enabled the yard to perfect the boat’s characteristics and improve details and finishes. There is also a version, called the “Sedan”, with a glass door which shuts off the flybridge. " Yachts in classical style for sailing into the future It was at the end of the ‘90s that the Austin Parker shipyard grasped the potential for developing a line of yachts in the style of the traditional lobster boats used by the fishermen of Maine (USA) in the tough conditions of the Atlantic Ocean. The yard thus became the first in Italy to invest in this project, creating a distinctive yacht concept that immediately set a trend amongst owners, increasingly attracted by an old-fashioned style with a sense of solidity, strength and reliability, immune to passing trends. 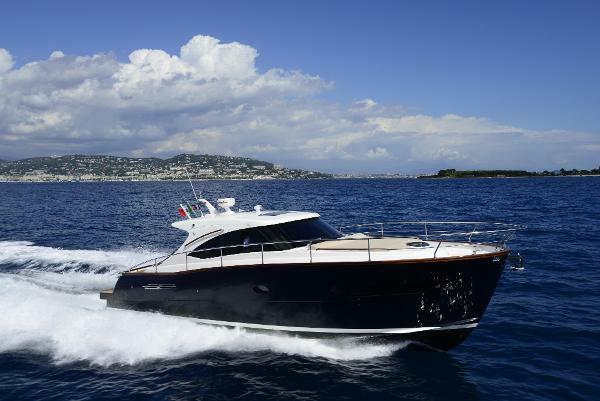 In 2008 the Austin Parker brand was acquired by a group of entrepreneurs with strong yachting traditions, and through the formation of a new company and under the direction of talented managers, it underwent a major relaunch in impressive style. Within just a few years, with the stylistic contribution of one of Italy’s most famous designers, Fulvio De Simoni, the yard created a completely new line of yachts to consolidate a brand capable of meeting owners’ needs, and achieved outstanding customer satisfaction levels from the very first craft built. And it is its design strategy that has made the key difference, enabling the Austin Parker boatyard to stand out on a competitive, selective, increasingly globalised market. A style suited to universal taste, popular on the new international markets for pleasure craft. The yard’s range currently comprises 7 models of yacht from 36 to 72 feet, craft of genuine value, with sophisticated design, skilled construction, choice components, comfort, performance, environment-friendliness and an unmistakable style immune to time and fashions.